The most awaited movie of the year is all set for release on 24 Oct 2014. 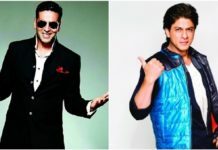 Expectations are huge as SRK-Farah has already delivered two blockbusters in Main Hoon Na and OSO. What more, SRK is teaming up with Deepika for the third time. Last year, we saw them in Chennai Express and there is no point of guessing that Box Office records were shattered. The hype and buzz surrounding the movie is huge and it is getting multiplied each passing day. Its not that we are expecting a mammoth start from the movie. Distributors and trade analysts too believe that the movie will break all Box Office records. Most of them have the opinion that Happy New Year will get a mammoth start at Box Office. Happy New Year Opening day collection would be 40 plus crores. This is what the distributors and trade analyst answered when Box Office India asked them about their expectations from Happy New Year. Happy New Year has huge expectations attached to its release and rightly so. The film has Shahrukh doing what he does best – giving his audience a larger-than-life canvas. Collections on day one will definitely break records with 40 plus crores. The weekend and the first week too will be spectacular as far as returns are concerned. The film has a perfect blend of masala which caters to the masses and classes alike. As the film’s release approaches, expectations are multiplying. The film has an exceptional hype, thanks to Shahrukh Khan and his team. From marketing to music, everything is making the audience more and more eager to watch the movie. The first day, the first weekend and first week will see record-breaking numbers and the film will enter the Rs 200 Crore club in no time. Shahrukh Khan and Deepika Padukone will set cinema screens ablaze with their chemistry just as they have done before. Sone pe suhaga hoga Farah Khan directing them along with an ensemble cast. There is no doubt the film will exceed collection records by leaps and bounds. When you look at previous Diwali releases, it is always the second day that clocks better numbers than the first day. 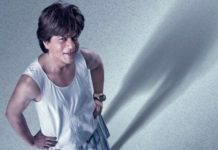 Hence it is a very smart move to release this film on Friday, which will not only give them record-breaking numbers but also making sure the numbers will remain higher than the other films that release after Happy New Year. The film is a perfect Diwali gift for the audience as it has action, dance, emotion, romance and comedy all wrapped up with a larger-than-life ribbon.The film will appeal to eight-year-olds as well as 80-year-olds as it is a complete family film. Shah Rukh Khan’s films have a certain assurance and film-goers trust that he always serves up something exceptional. Day one’s collections will cross Rs 45 crore and the film will not only be the fastest Rs 100-crore movie but the fastest Rs 200-crore film to date as well. Saying that the film will see massive numbers is an understatement. It is all the rage already. First-day numbers will cross Rs 40 crore all-India and in Rajasthan, it will be close to Rs 2 crore. And every circuit will see new box-office records. The film releases on Friday and since Diwali is in Thursday, everyone will rush in to see the movie. We have already seen a glimpse of what the Shah Rukh Khan-Deepika Padukone jodi can do at the ticket window. Shah Rukh Khan says in the promo, ‘picture toh abhi baaki hai, mere dost’. If the trailer has been such a massive hook, imagine how much business the film will pull in. Day one will be record-breaking and the weekend will be superlative. We can barely wait for Friday. The film has Farah Khan directing Shah Rukh Khan and we have already seen what this pair is capable of. Their movies are larger than life and the movie has emotions as its backbone. The first-day numbers will be record-breaking as will the weekend and week’s collections. Lifetime collections will be more than Rs 250 crore. This Diwali will be a Happy New Year indeed. People have two festivals this week – Thursday is Diwali and Friday Happy New Year. No other film has generated the kind of anticipation that this film has. Day one will be humongous, above Rs 40 crore, to say the least. This is another glorious feather in Shah Rukh Khan’s cap.